A Seattle Symphony concert fits everyone’s wishlist! Get the best seats to great holiday concerts, including Handel's Messiah, Beethoven's Ninth, Holiday Pops, New Year's Eve and much more! Looking for the perfect gift? Give the joy of music! Gift certificates are available here. 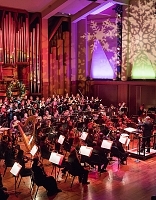 Come celebrate the season at Benaroya Hall! A holiday tradition! Join conductor Stuart Chafetz and the University of Washington Chorale for this heartwarming program. Featuring seasonal classics, traditional favorites and that holiday cheer you love, this year’s Holiday Pops spreads the heartfelt warmth of the season with humor and joy. 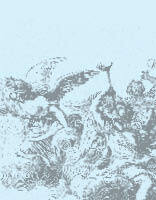 A triumph of music and text, Handel’s Messiah is a matchless December tradition. The exquisite choral writing and the exultant Hallelujah” chorus — featuring the Seattle Symphony, Chorale and a strong cast of soloists — honor Handel’s greatest work.